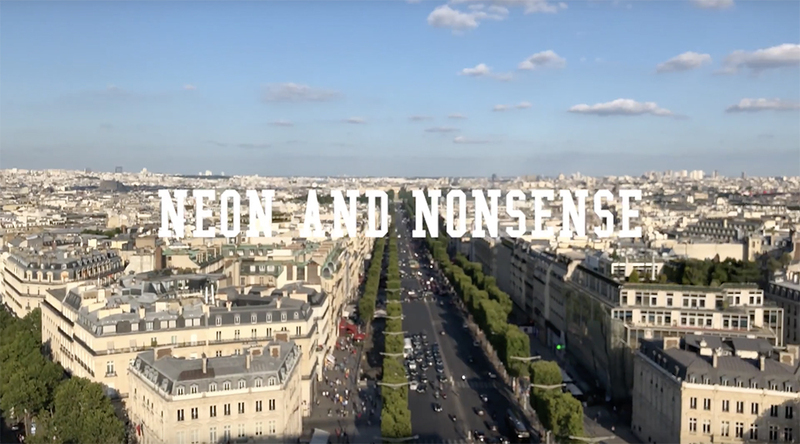 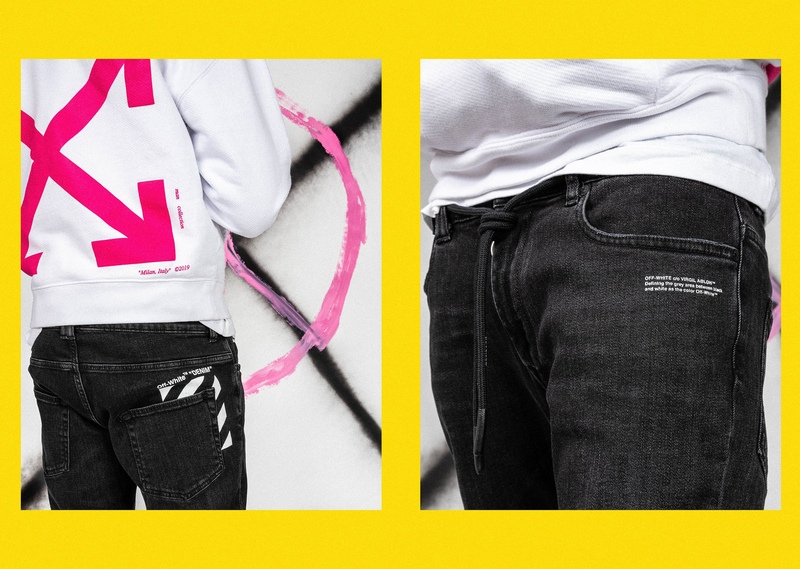 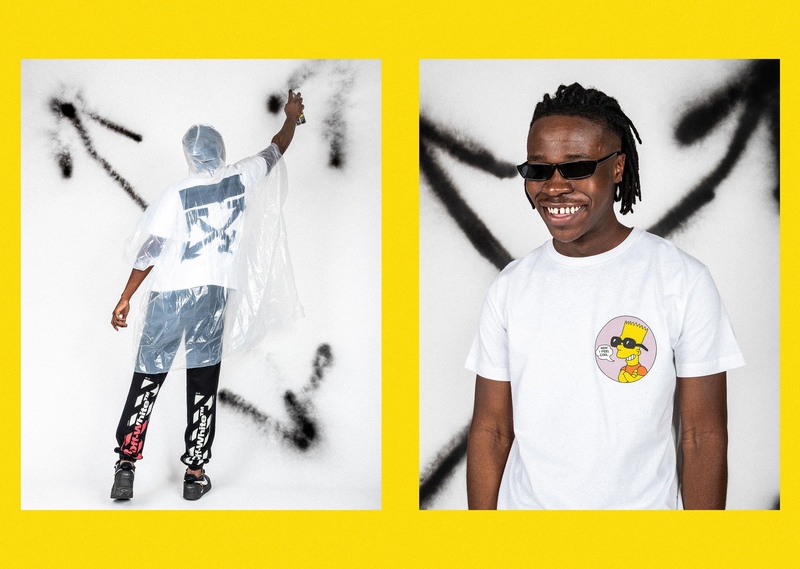 Off-White’s Spring/Summer 2019 collection continues to further Virgil Abloh’s mantra: The Youth Will Always Win. 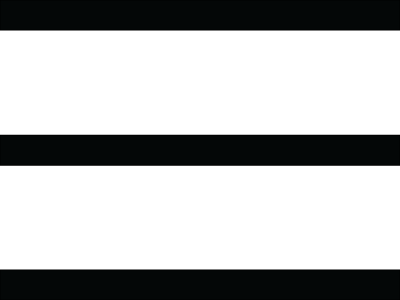 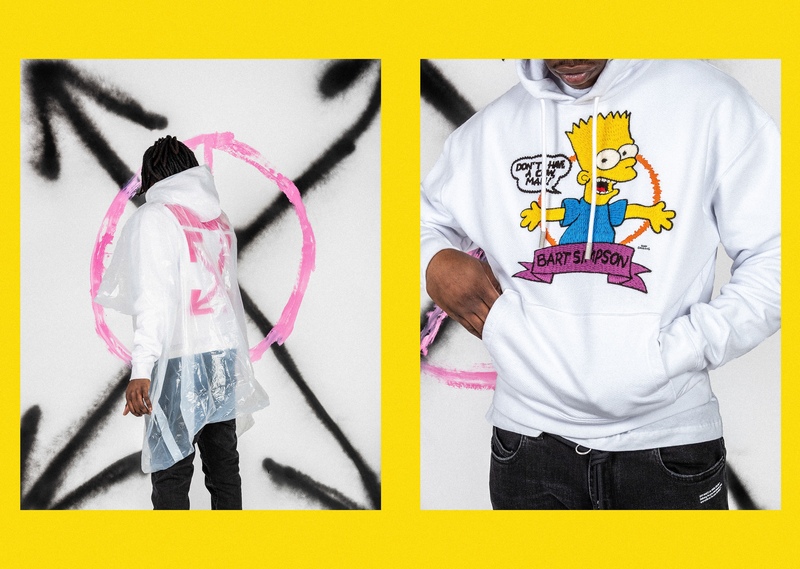 The collection is rooted in rebellion, drawing upon three iconic pop-culture rebel icons: Bart Simpson, Jim Stark from the iconic film Rebel Without a Cause, and legendary graffiti artist Dondi White. 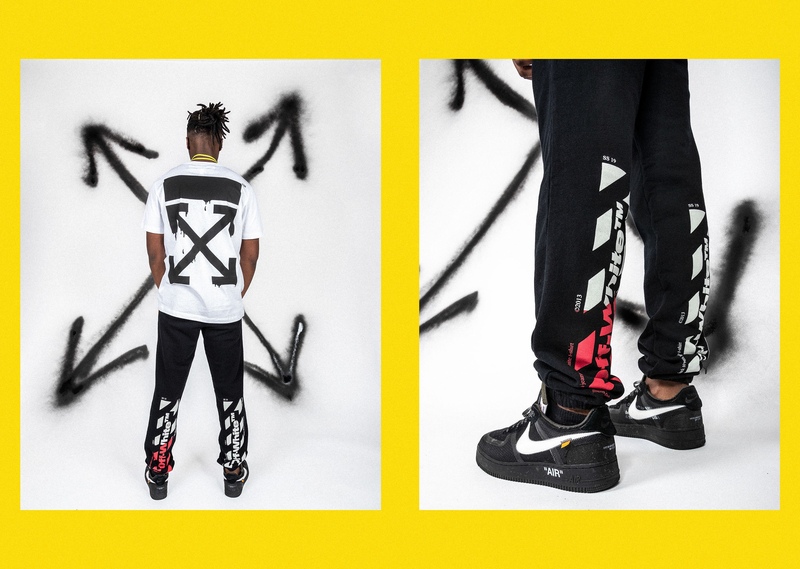 Abloh’s signature style still reigns supreme, with graphic-heavy offerings throughout the collection. 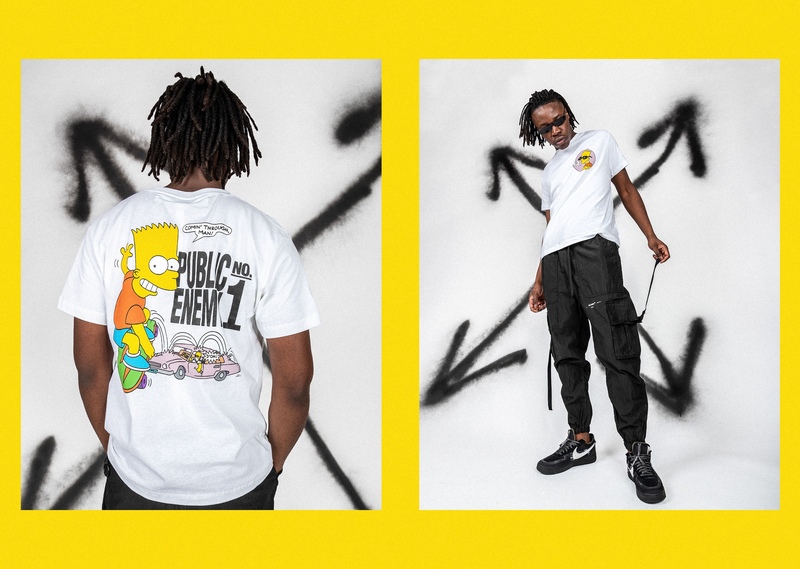 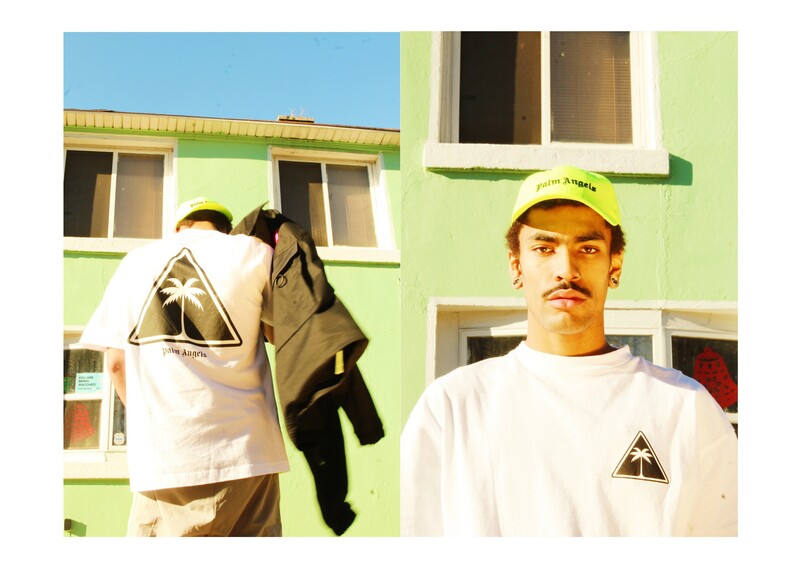 He continues to push his craft with expertly cut & sewn pieces utilizing premium fabrics mixed with strong graphic hits across tees, flannels, and sweats. 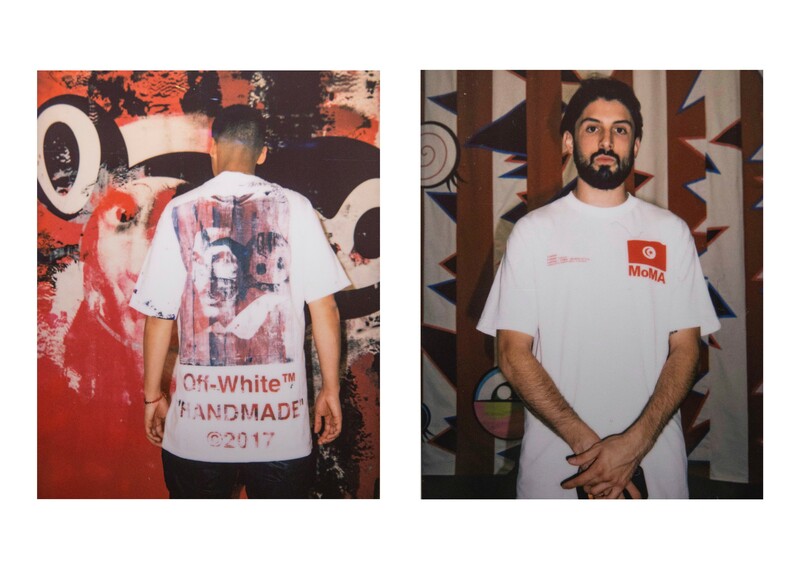 You can shop the full collection online now, or visit our Chicago & LA shops, with in-store exclusives at each location. 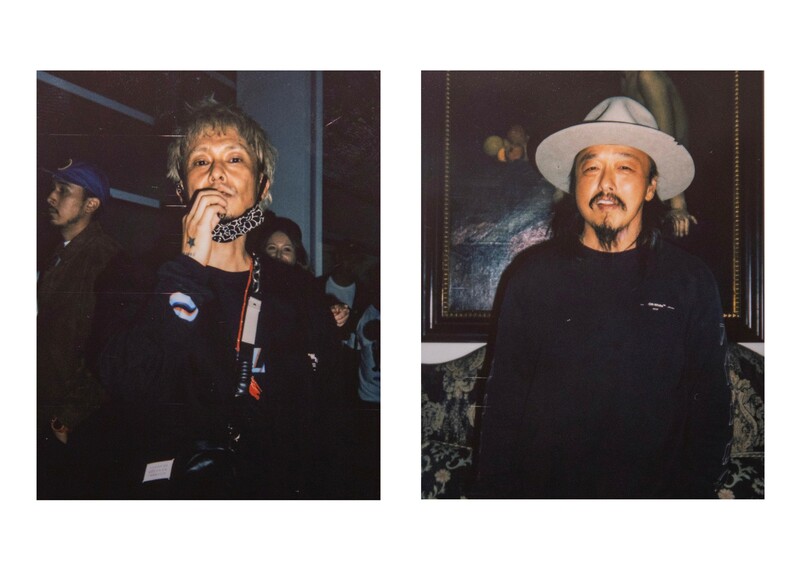 RSVP Gallery’s Pre-Spring Editorial features new pieces from staple brands Off-White, Palm Angels, and Rhude. 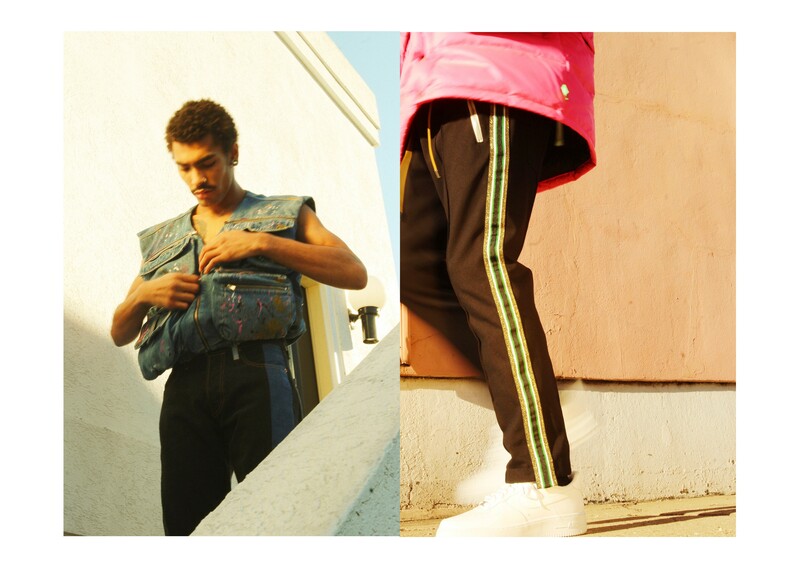 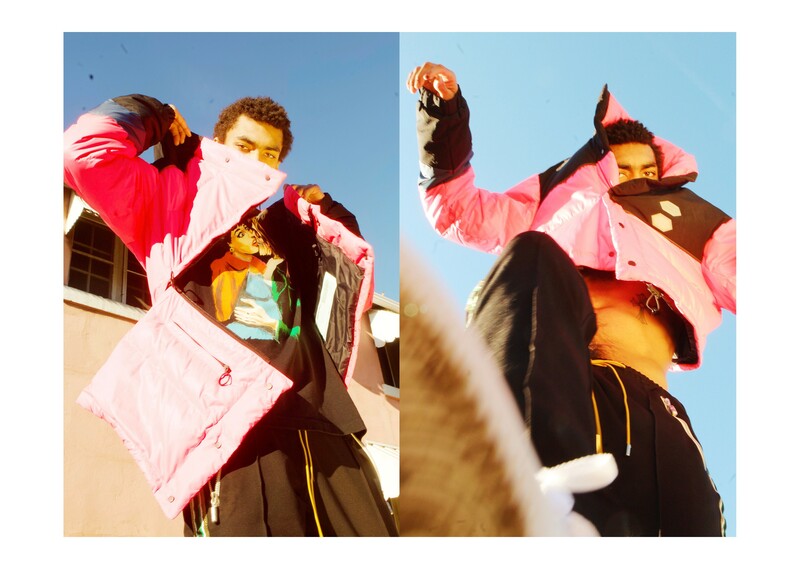 The looks feature new classics, such as Rhude’s Traxedo Pant, styled with poppy, contemporary pieces, like Off-White’s modular Puffer Jacket. 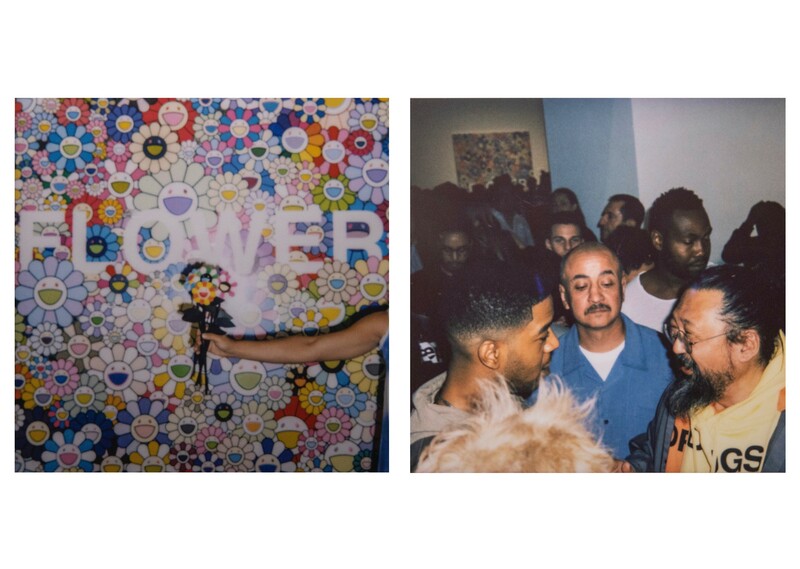 Indiana-based visual artist Nate Guenther captures the various looks in his signature style, relishing in his ability to toy with the exposure of an image. 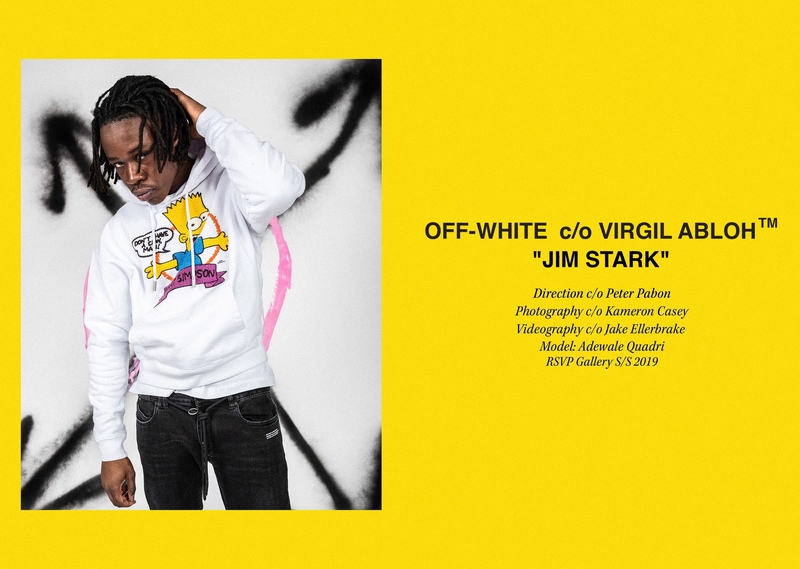 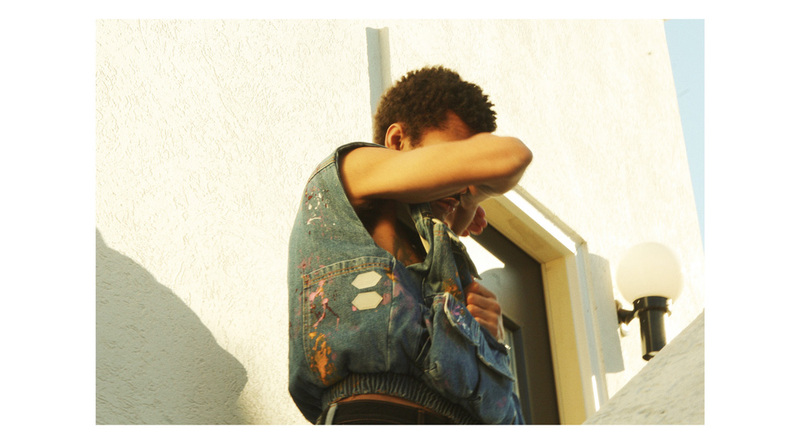 The splashy photos show the diversity of style choices in menswear landscape, whether that’s a bare-chested look covered by the Off-White Denim Vest or a simple fit, wearing the Palm Angels Logo cap and Icon tee. 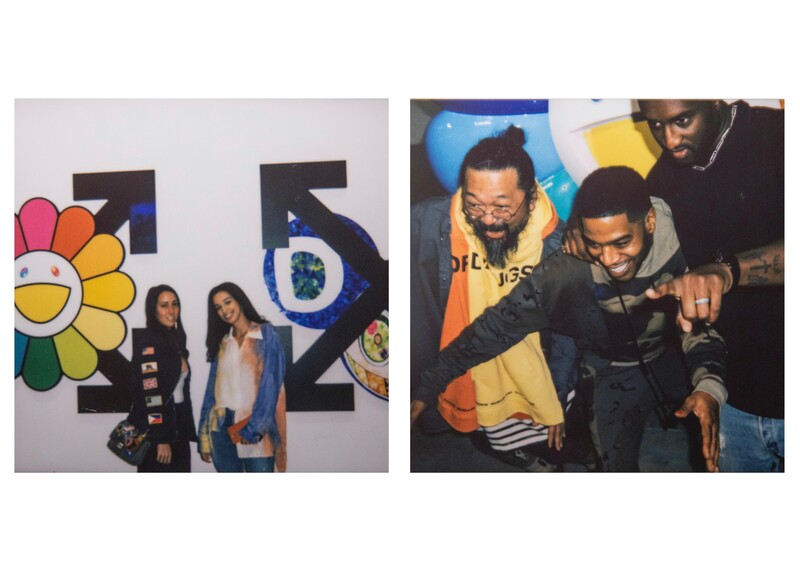 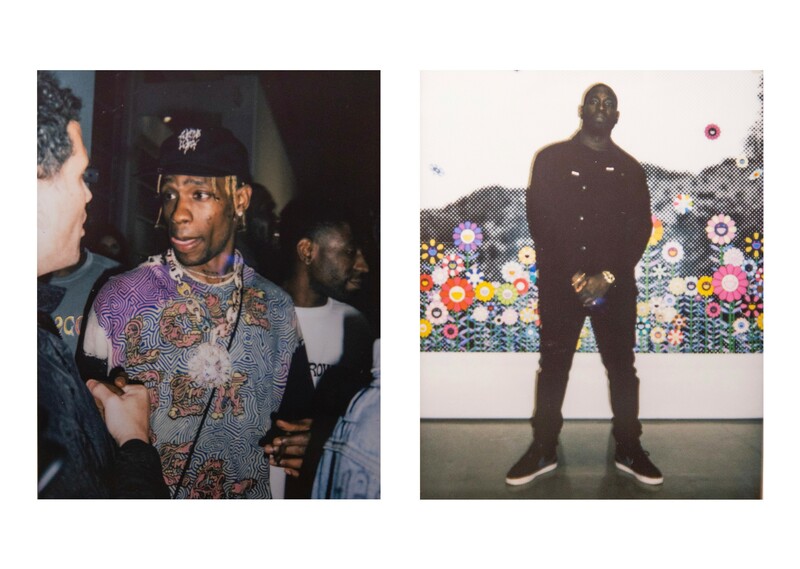 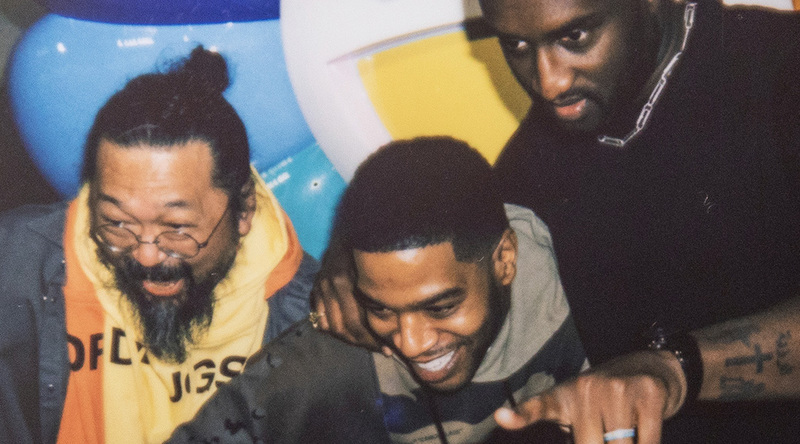 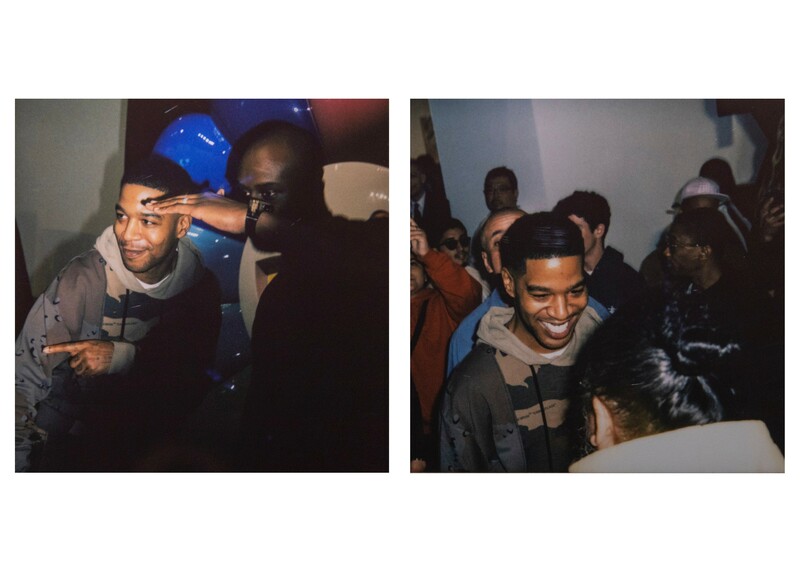 Virgil Abloh and Takashi Murakami took over the Gagosian in Los Angeles to present their new exhibition titled “America Too.” The opening for the show had the likes of Travis Scott, Kid Cudi and more in attendance as viewers packed the gallery. 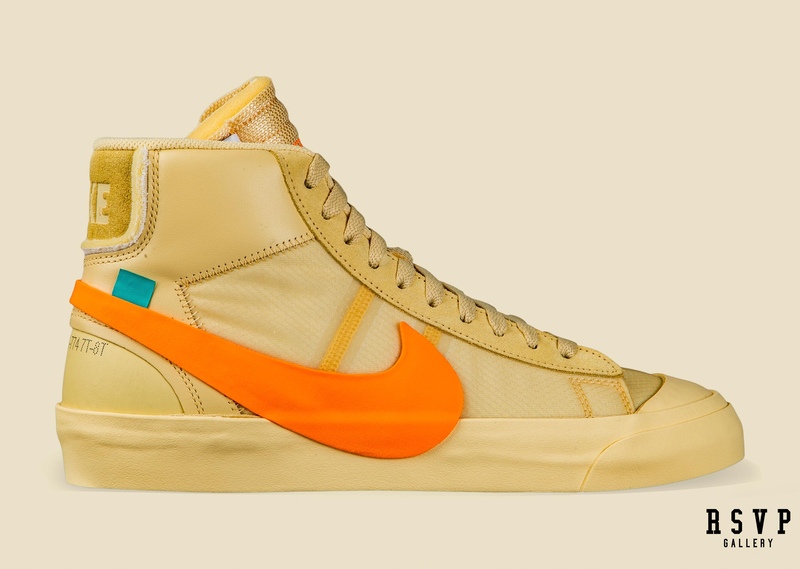 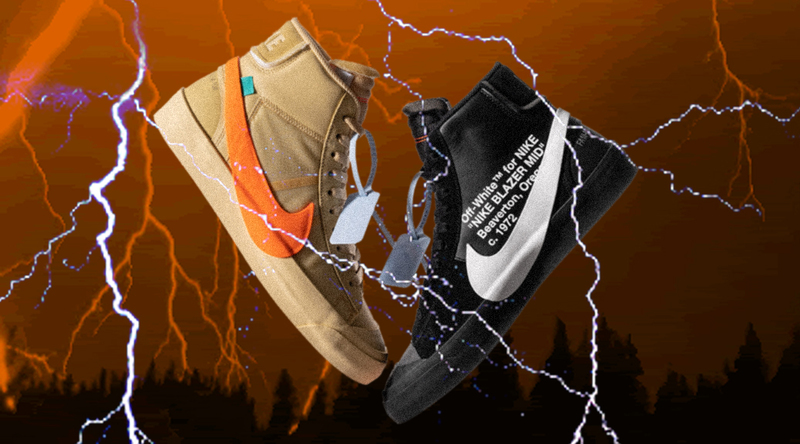 The latest iterations of Virgil Abloh’s iconic Nike Blazer come in the form of the “Spooky Pack.” Just in time for Halloween, the pack sees the sneaker wrapped in an “All Hallows Eve” and “Grim Reaper” colorways. 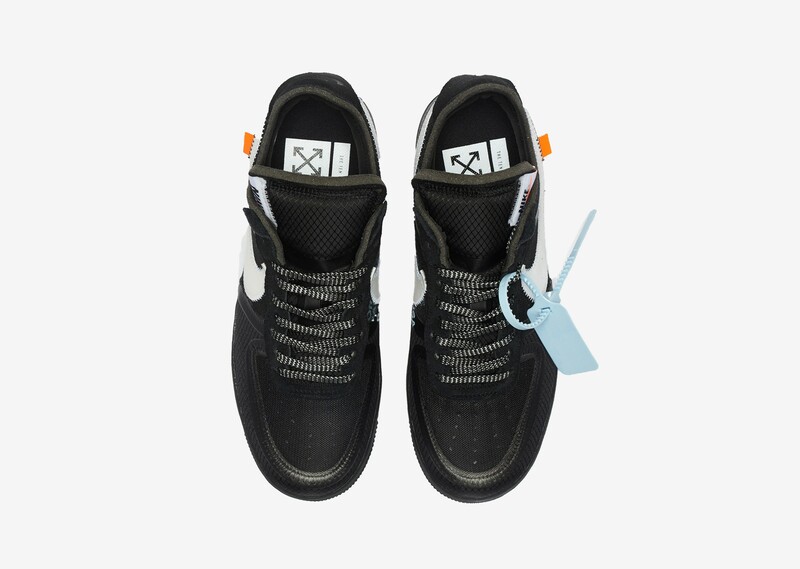 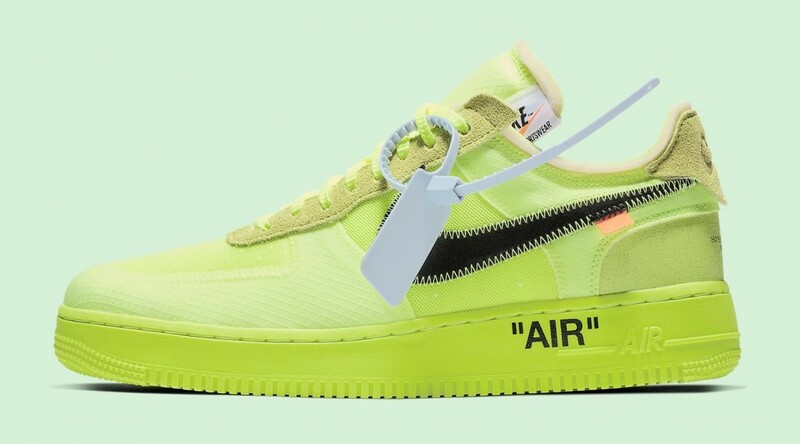 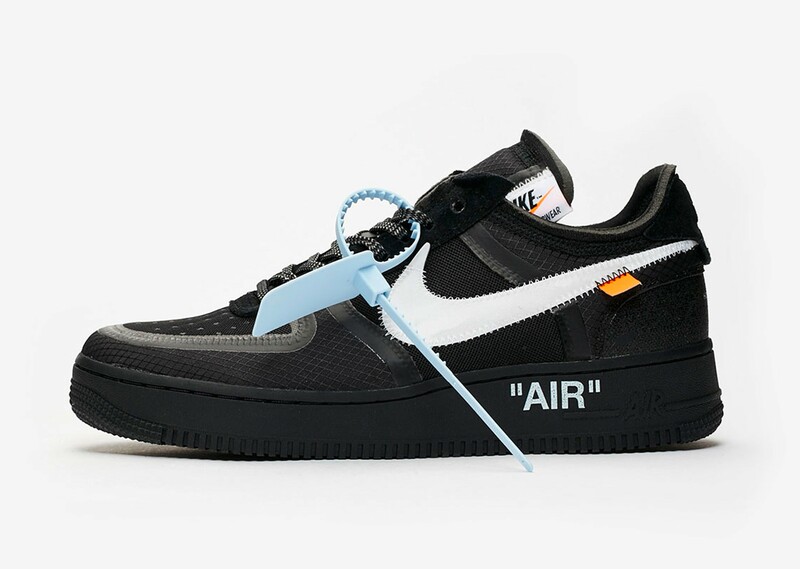 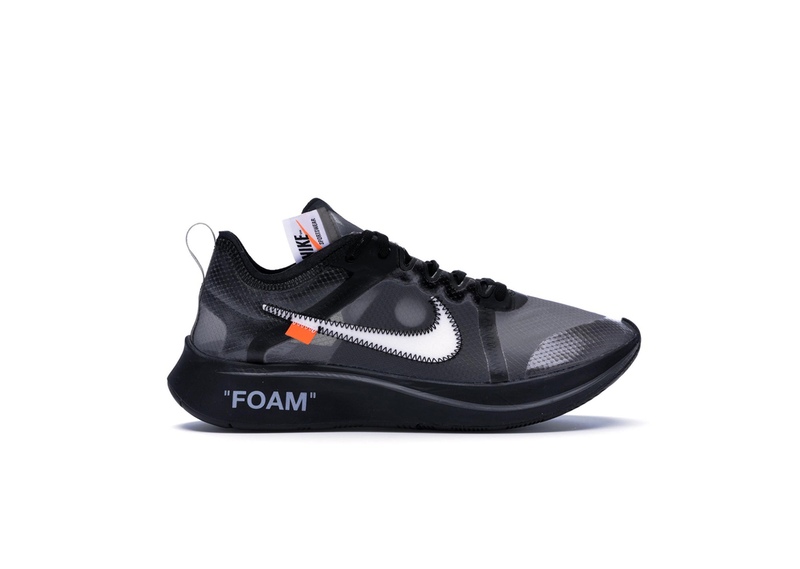 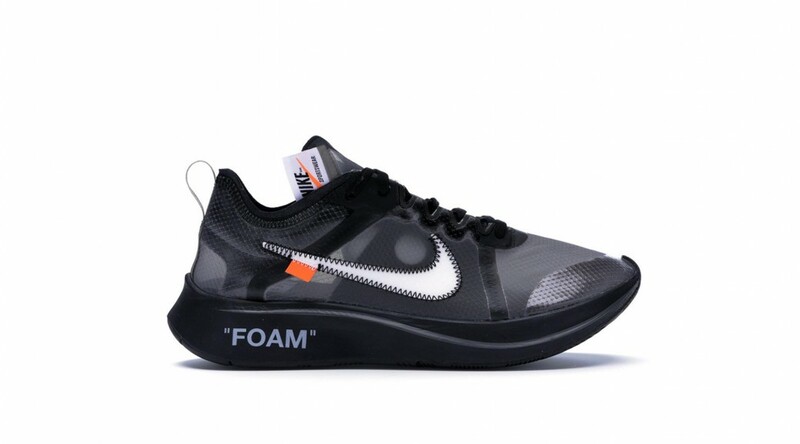 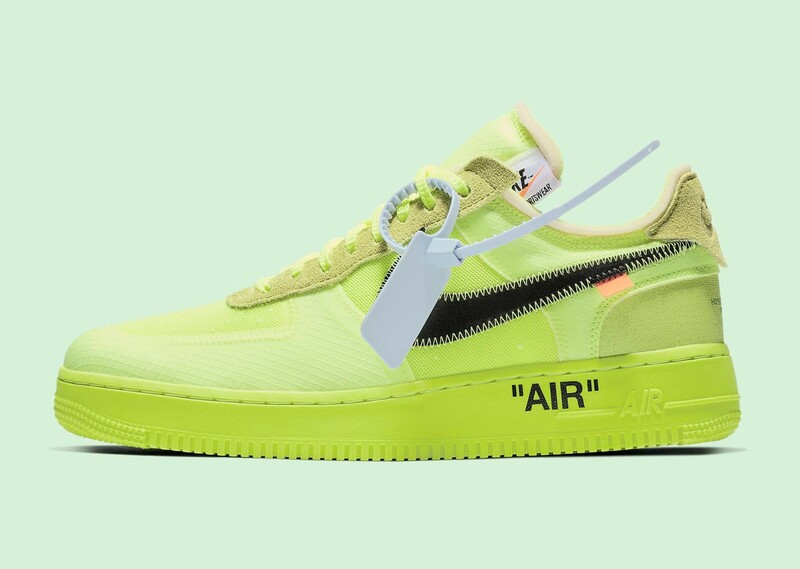 The first colorway features an off-white upper with bright orange detailing, while the second comes in a primarily black upper. 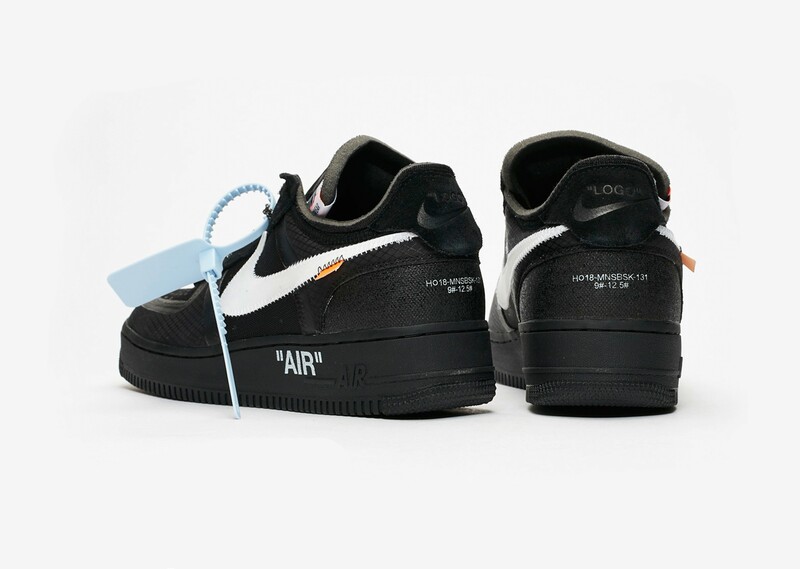 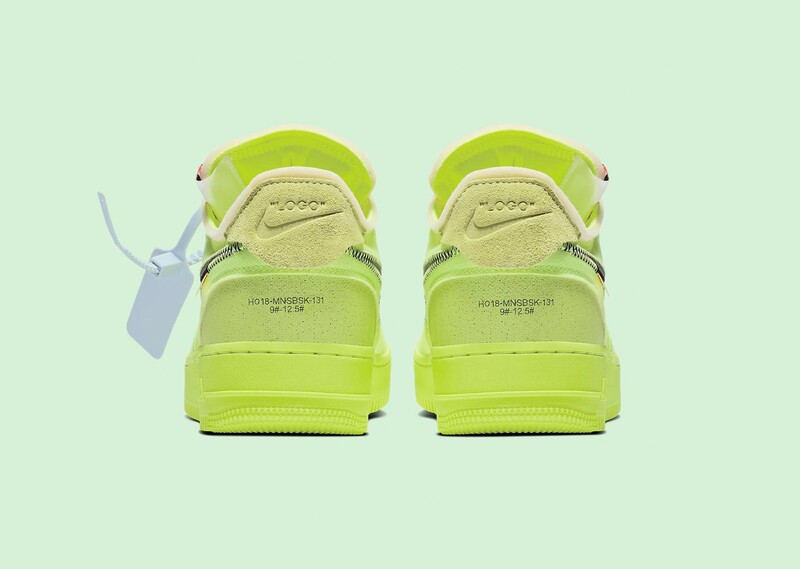 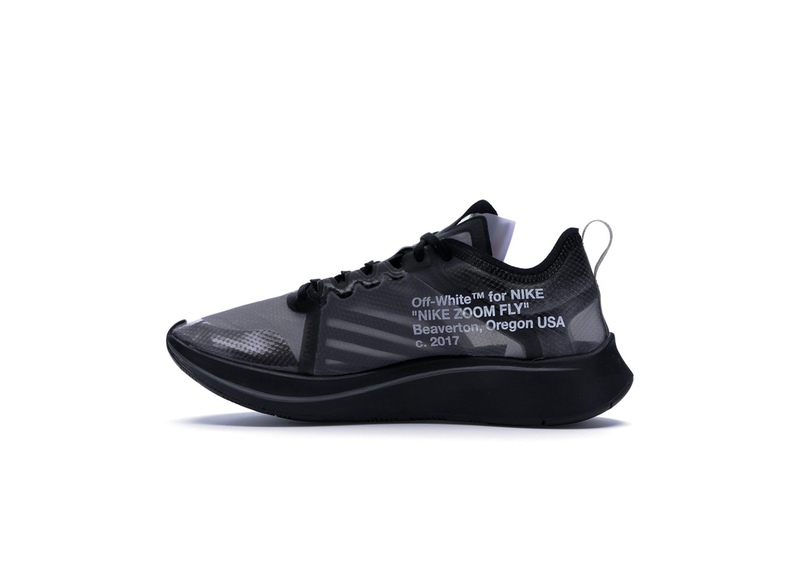 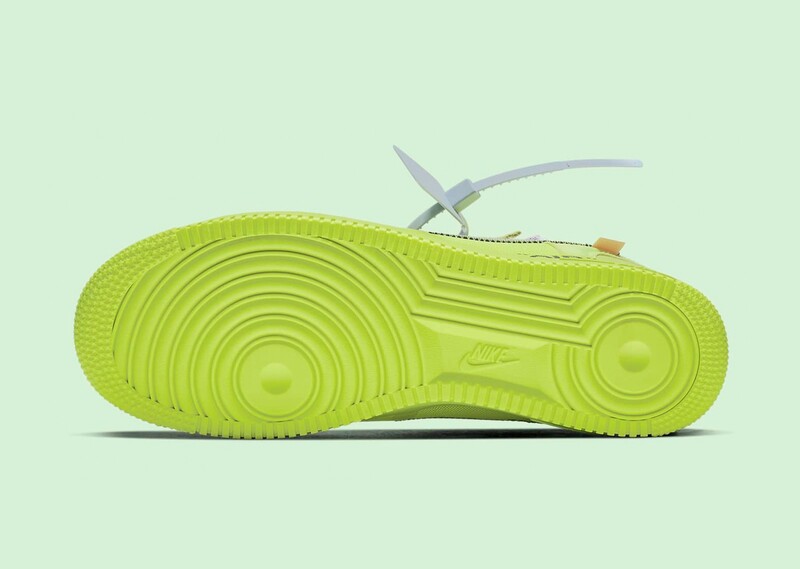 Both sneakers then feature a range of signature Abloh design touches. 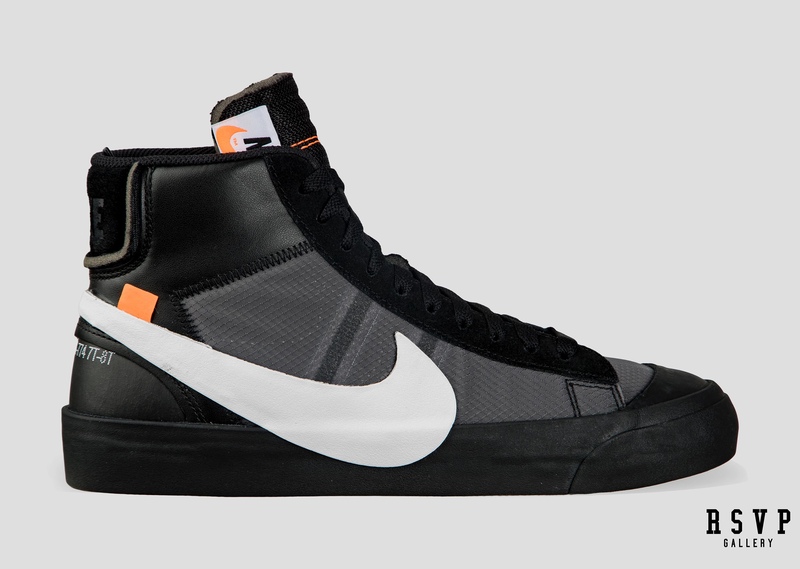 Off-White™ x Nike Blazer “ALL HALLOW'S EVE"